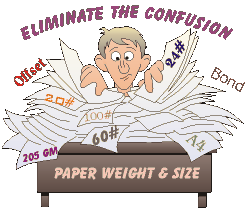 Eliminate The “Paper Weight” Confusions!! Basis Weight The basis weight of a paper is the designated fixed weight of 500 sheets, measured in pounds, in that paper’s basic sheet size. 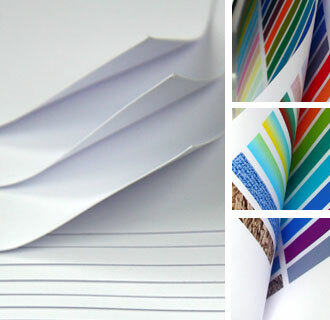 It is important to note that the “basic sheet size” is not the same for all types of paper. 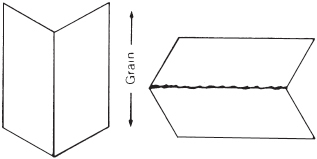 Caliper Caliper refers to the thickness of a sheet of paper expressed in thousandth of an inch. This measurement is taken with a micro meter. 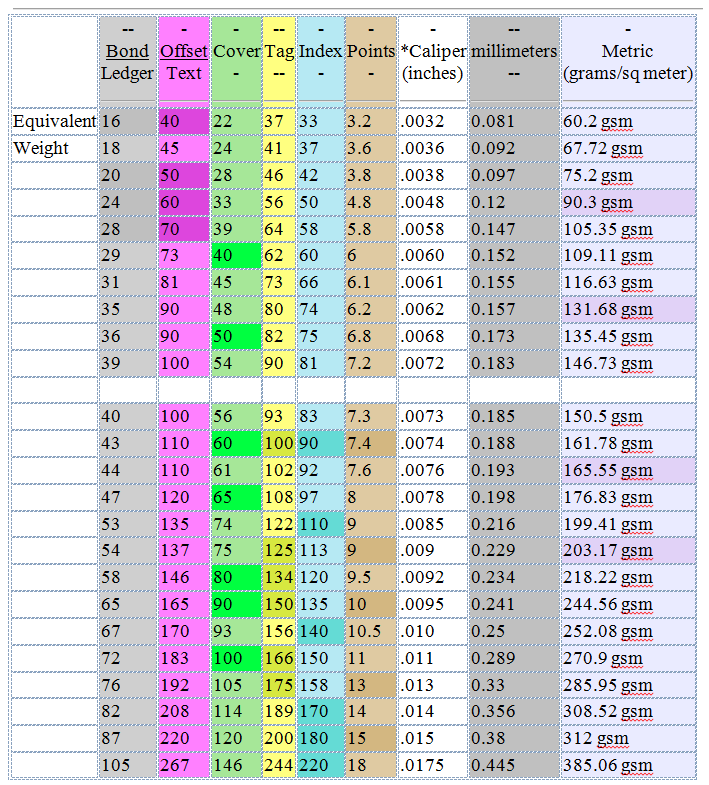 Normally, paper caliper should not have more than a + or – 5% variance within a sheet. Generally, the relation between caliper and basis weight…the greater the caliper (the thicker the paper), the greater the paper weight. The darker colored boxes above represent the “most common paper weights” for that category. It’s Spring, except in Kansas City where it’s snowing today, and a good time to think about your direct mail marketing program. Especially for spring/summer seasonal businesses (think lawn service, tree trimming, wedding planners, nurseries) your time to act on a mailing is now. A terrific way to get your message into customers and prospects hands is with a well crafted postcard. 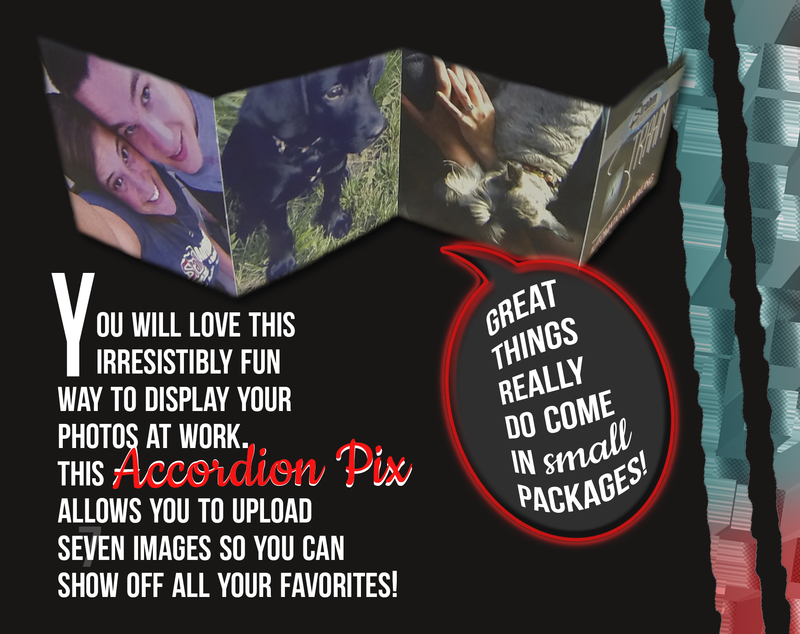 Postcards are inexpensive to produce, have a short message for a quick review by the recipient, and convenient for the recipient to keep/store on refrigerator or cork board for example. As with all direct mail marketing, you should carefully consider your message (clear, concise), your offer (free trial, time limited discount) and your mailing list (clean out those undeliverable addresses before you mail, ask your mail provider to run an NCOA process to update addresses). 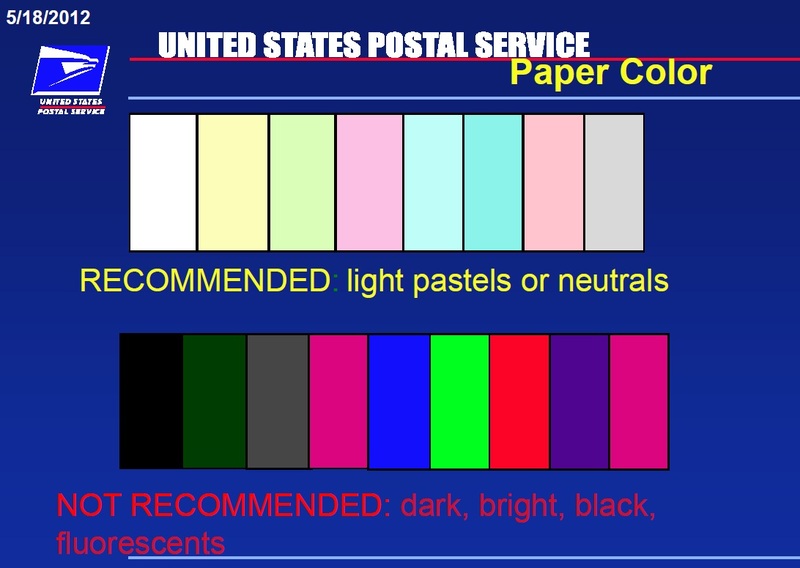 It is also important to make sure you meet the USPS rules for postcards in order to get that great postage rate. The current rate for a single piece postcard is $0.33 and you will want to work with your mailing service to get a discounted automation rate. No polywrap, polybag or shrink wrapping please! Don’t forget to leave the bottom 5/8” of the mailpiece clear for the barcode! Get started today and get those postcards in the mail! USPS Automation Compatible Mail Specifications! Meet USPS Automation Compatible Mail Specifications! You’ve made the decision to use a mail service provider to presort your mail in order to take advantage of lower postage rates. Good decision! Now you need to know what specifications your mail must meet in order to be considered automation compatible by the USPS. Is your mail automation compatible so that you take advantage of the best postage discounts? Where could you make improvements? As always, if you have questions or need more information, please contact one of Strahm’s Customer Service Representatives. They can be reached at custserv@strahm.com or (816) 756-2733. 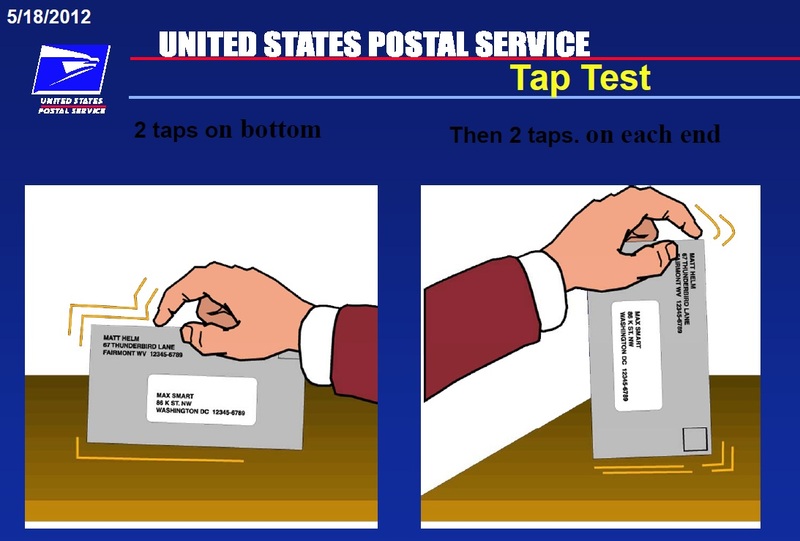 Cut your envelopes in half? Don’t go grabbing for the scissors. The ingenious, two-way ecoEnvelope is the answer. Ann DeLaVergne, founder of ecoEnvelopes, and always environmentally conscious, was looking for a way to re-use envelopes she received in the mail. Finding the practice difficult to say the least, she developed her own two-way envelope (she used a sewing machine, folks!). 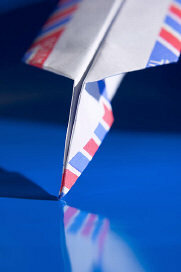 More than 80 billion reply envelopes are used annually in the United States alone. 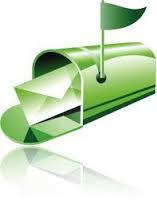 The ecoEnvelope is essentially an outer envelope with a reply envelope built right in. Not only are you reducing environmental impact, but you should also see cost savings by eliminating the need to print BRE or CRE. These envelopes are USPS approved, produced with FSC (Forest Stewardship Council) or SFI (Sustainable Forestry Initiative) material and are 30% post-consumer waste for the stock items. They play well with inserting, remittance and USPS postal processing equipment. 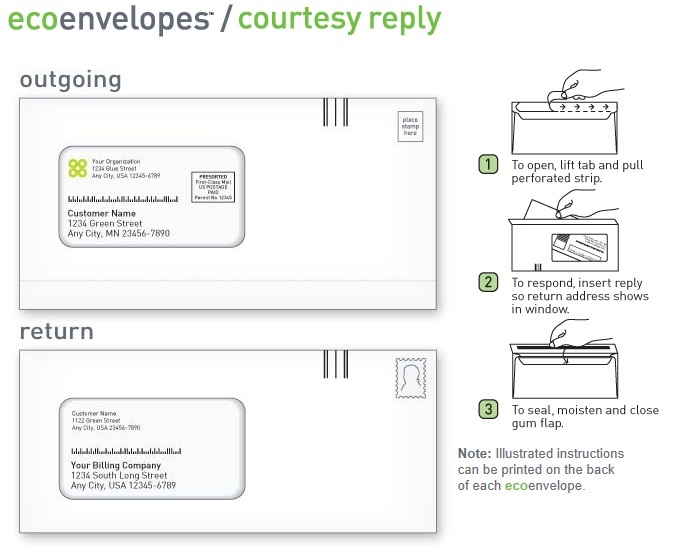 Two-way envelopes speak volumes in your commitment to “greening your mail” while sending a clear message to your customers that you care about the environment. 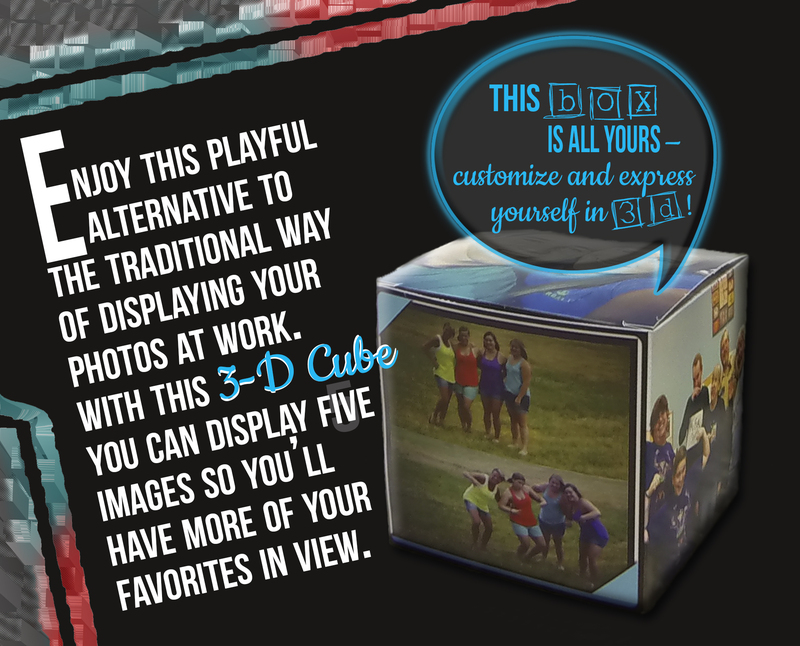 Why not give them a try on your next mailing? Think TransPromo: Create a document that combines transactional printing (think statement or invoice) with a marketing piece – all in one document and one envelope.